-I'm planning to sell my old iPhone, how can I reset it to ensure all my data won't be recovered? Is a factory resetting enough for it? -No, a factory resetting is not enough to prevent privacy leak. Resetting your iPhone is an important step if you are about to sell the device, donate it, or pass it on to a friend or family member. By resetting the iPhone, you will be making sure that your personal and private data is protected and the new owner of the device won't be able to access it. Here we'll discuss how to correctly reset iPhone to sell. Part 1: How to Reset iPhone to Sell? Part 2. Comparison – Which One is Safer? How to Reset iPhone to Sell? The Safest way to completely reset an iPhone is by using a professional iPhone data erasing tool. iMyFone Umate Pro is a recommended choice in this regard. 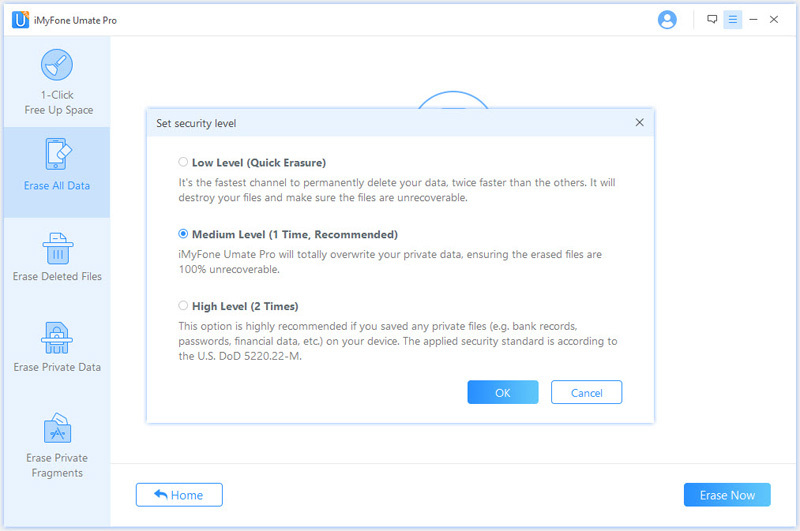 Umate Pro is equipped with powerful and advanced features that will help you completely reset iPhone and erase all its data permanently, so you won't have to worry about privacy leak because data erased by Umate Pro cannot be recovered by any data recovery software. Not only is Umate Pro a convenient way to reset an iPhone, it is also the safest one. Completely reset iPhone and erase all its data permanently within a few clicks. 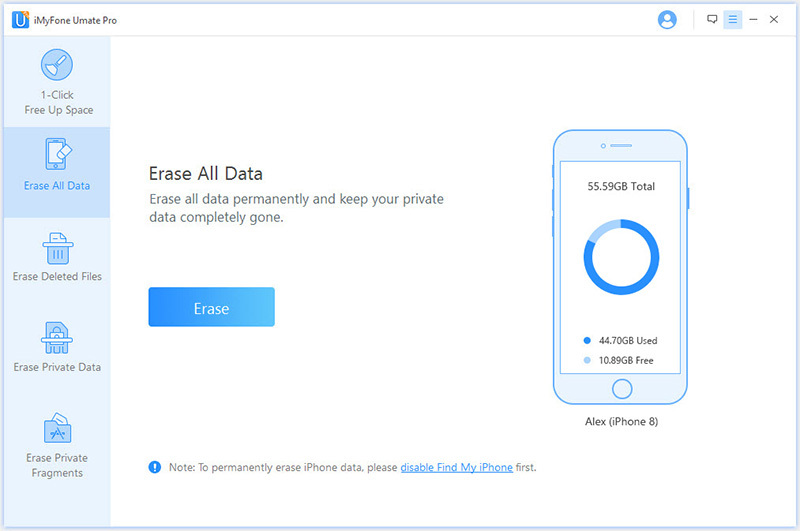 Data erased by Umate Pro is 100% unrecoverable, so this is an ultimate tool for privacy protection. Scan and permanently erase files from your iPhone that you have already deleted and make them unrecoverable. Scan and permanently erase private and sensitive information such as contacts, call logs, messages, WhatsApp data, etc. Preview your media files before permanently erasing them via Umate Pro. Step 1. Launch Umate Pro on your computer and connect your iPhone. Step 2. Once your iPhone is detected in Umate Pro, select Erase All Data tab from its home interface and click on the Erase button. Step 3. Now on the next screen, type ‘delete' in the textbox. Also select a Security Level for deletion. You can choose from Low, Medium, and High depending on your preferences. Step 4. Click Erase Now button and the data erasing process will begin. Your iPhone will be completely reset once the process is finished. 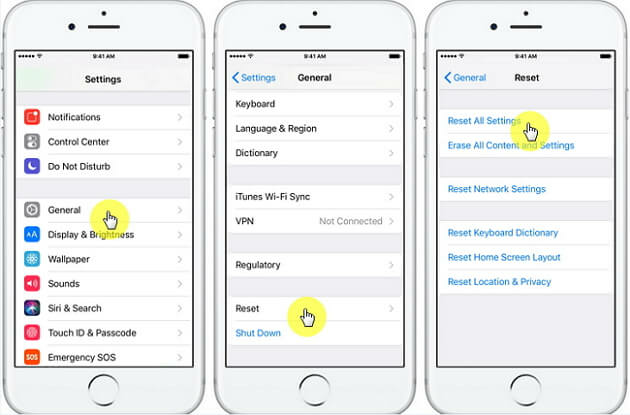 All iDevices have built-in feature that allows users to factory reset the device and wipe all its data. It is recommended that you back up all your iPhone's data before proceeding to factory reset. The process to rest iPhone via Settings app is quite straightforward. Navigate to General > Reset > Erase All Content and Settings. You will need to type in your passcode to confirm your action. After inputting your passcode, tap the Erase iPhone option. Now you will need to input your Apple ID password to proceed. After you have successfully entered your Apple ID password, the factory reset process will begin. Your iPhone will automatically restart during the factory reset process. Although resetting an iPhone via Settings app is quite easy, the data erased via this method is not permanent and can be recovered. Comparison – Which One is Safer? Although both methods of resetting iPhone wipe all the data from the device and restore all configurations and settings to their defaults, there is one significant different between them. When you reset via Settings app, your data is not erased permanently. On the other hand, resetting via Umate Pro erases all data permanently. So it is a better option because your privacy is 100% protected with this method. Step 2. Navigate to Apple ID > iCloud. Step 3. 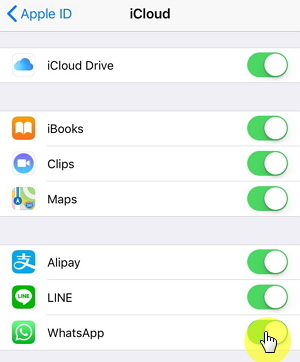 Turn off the apps that you think aren't needed on your next iDevice. 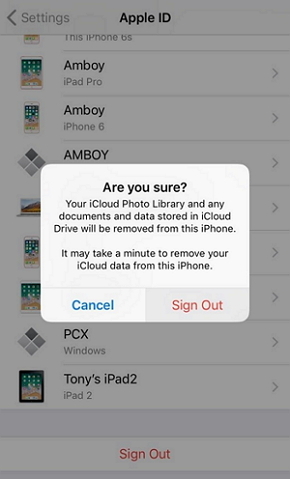 Toggle on Photos if you wish to back up your photos and then turn on iCloud Photo Library. Step 4. 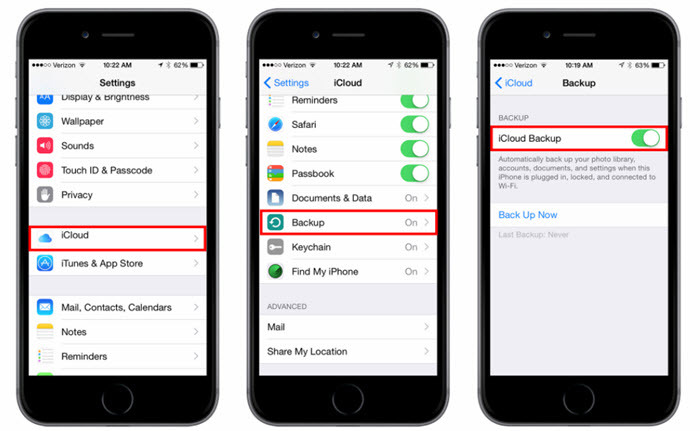 Now turn on iCloud Backup in Settings > iCloud. Step 5. Tap Back Up Now option to start the backup process. Open Settings app and navigate to iCloud > Find My iPhone. Now turn this feature off. 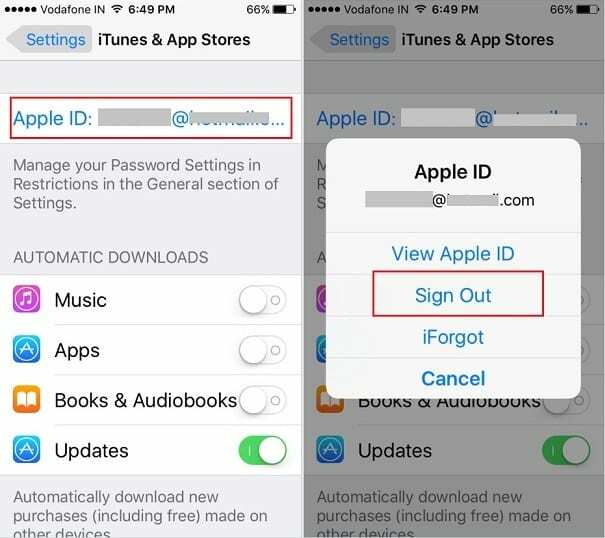 Removing Apple ID from your iPhone is an easy process and should not take more than a few minutes. Open Settings app on your iPhone and navigate to Apple ID. Now tap Sign Out. You will need to choose Sign Out again and then choose Delete from My iPhone option. Navigate to iTunes & App Store > Apple ID. Tap the Sign Out option.